A showcase of our projects that excel in quality, design, sustainability, or other noteworthy elements. Whether you are looking for a custom, design build, permanent building or more of a temporary type structure. We turn concept into reality. 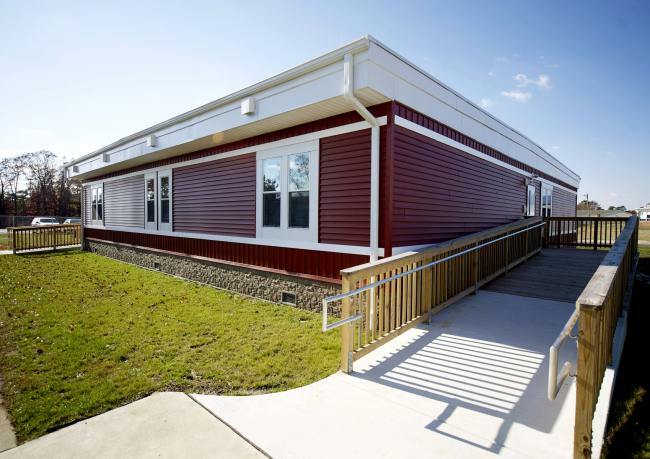 Permanent Modular Construction is a construction delivery method utilizing offsite, sustainable lean manufacturing techniques to prefabricate module sections that form whole buildings affixed to real estate. The modules are delivered with MEP, fixtures and interior finishes in less time, with less waste, and higher quality control compared to site-built construction. 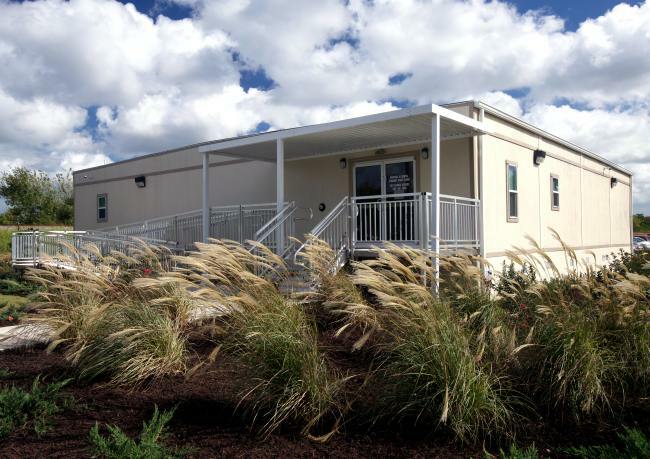 Relocatable Buildings are assembled buildings that are constructed in a manufacturing facility using a modular construction process. These buildings are designed with complete MEP, fixtures and finishes to be reused multiple times. They offer fast delivery, ease of relocation, low-cost reconfiguration with an accelerated depreciation schedule that typically treats the asset as personal property. We provide a design build method to deliver a project in which the design and construction services are contracted by Modular Genius, Inc. as the design builder or design build contractor. 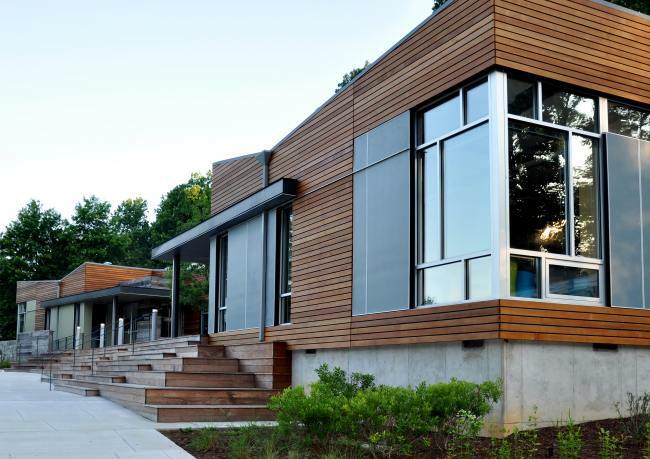 We provide a hard bid in a traditional method where the agency or owner contracts with separate architects & engineers for the design and Modular Genius, Inc. for construction of a project. We focus on these primary industries providing full turnkey or standard services. We are a Full Service, Turn Key, Modular Building, General Contractor Offering Permanent and Relocatable, Commercial Modular Buildings. Modular Genius, Inc. holds a US Government, GSA contract that allows us to build in all 50 states and territories. We also have completed US Government projects overseas in Asia, the Caribbean and the United Kingdom. We have built projects for private industry around the country. Our sweet spot for construction is the Mid-Atlantic region. 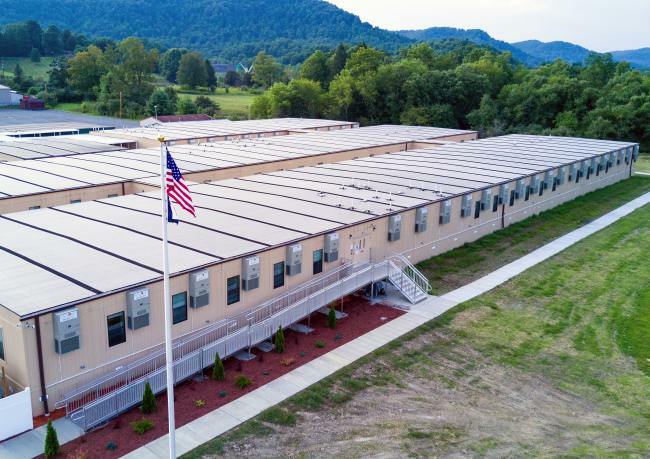 Modular Genius, Inc. has received awards from the Modular Building Institute (MBI) through the Awards of Distinction contest every year since the company’s inception. We have been recognized with awards from American Institute of Architects (AIA) for some of our best projects. We have been recognized for donation of time and resources with Habitat for Humanity. Hear what our valued clients have to say about working with our dedicated team. During my 20 years at Mammoth Cave Modular Genius is one of the best Contractors that I have worked with. They were responsive to the requirements in our contract documents and provided a proposal that was easy to understand and evaluate. Without a doubt, when we have the need for modular office space in the future, I hope we are able to work with this company. 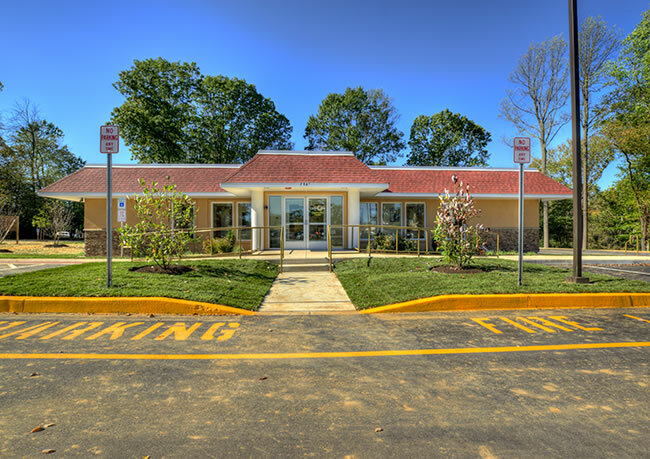 Modular Genius, Inc. assisted in the design of the modular building that eventually became the Riversdale Visitor Center. They also provided project management, delivery and installation services inclusive of permitting, utility connection and site work. From the very beginning of our project, Modular Genius’ personal interest and involvement was evident. We are absolutely thrilled to be in our new offices and visitor center, and look forward to welcoming patrons to the site for many years into the future.